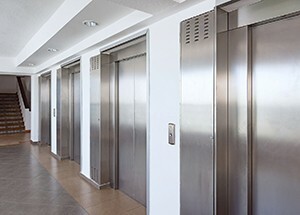 Polishing of lift doors, door frames, jambs and wall panels. Removes scuff marks and scratching due to general usage. Removes spill marks and other discolouration. Cleans and brightens the stainless steel.. 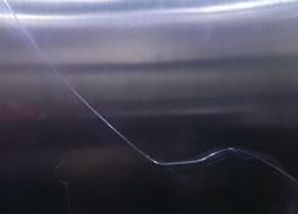 Stainless steel surfaces, especially in lifts, are often hit by vandalism, or graffiti tagging. 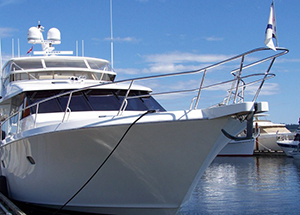 We repair such damage with a prompt, onsite service that includes after hours/weekend options. 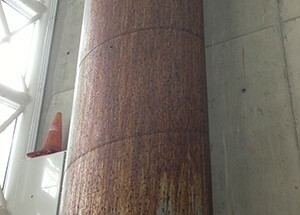 Removal of brown stains that if left untreated will cause permanent corrosion damage. ‘Tea staining’ occurs in close proximity to marine environments (salt water) but is known to have occurred as far as 40 kms away from the surf. 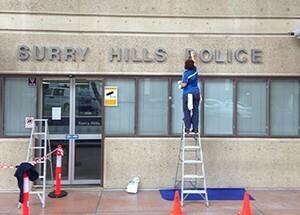 Rust removal, polishing and corrosion treatment of signs, gutters / downpipes, fascias, light fittings, doors, gates, street furniture, statuary, plaques. 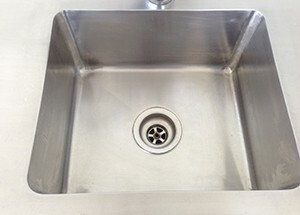 Rust removal, polishing and corrosion treatment of bench tops and splash backs. 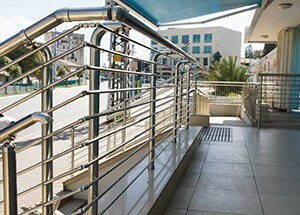 Rust removal, polishing and corrosion treatment of balustrades, hand rails, bollards, posts, pool fencing..
Rust removal, polishing and corrosion treatment of all stainless steel marine fixtures.